The Right Home Loan For Your Needs. Whether you’re planning to buy your first home or your a seasoned homebuyer or investor, finding the right home loan can always be an anxious time. Often it is one of the biggest purchases that you will make in your lifetime and you want to make sure it’s the right fit for you and your family. At AML Mortgage Group, we take this purchase time very seriously and spend the time to listen to your plans, evaluate your financial position, and work to find you the best mortgage for your individual situation. 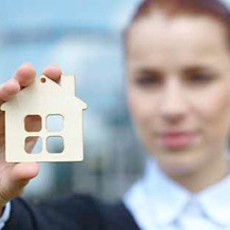 Every one of our clients has a unique situation that we cater to in finding the right home or investment loan. We guide our clients to understand why we say “It’s not just about the rate”. This isn’t to mean that we don’t aggressively look for the best rate possible for you, but that there are many factors that come into play when applying for a loan. Will there be a change in financial position during the term of the loan that you know about? Do you plan on selling within a certain period of time where one loan may be more attractive than if this is your dream home to retire in. Will you perhaps buy another property in the future and keep this property as an investment? These are the questions that we work with you to understand so that we know your complete financial position and future plans. Home loans don’t need to be complex, but they are individually suited. People and companies that just chase the rate are missing out on the bigger picture. We look to have you as a client for life and that means getting you into the right loan based on your circumstances every time a borrowing decision is required. If you are looking for an experienced team who treats you as an individual and understands that one loan does not fit all, please Contact Us and we will look forward to assisting you.